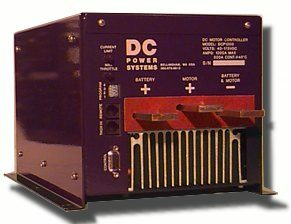 DC Power controllers were manufactured by DC Power Systems. They operate at 18 KHz, are air cooled and are completely silent. While the DC Power Systems controllers are out of production, other motor controllers are available from most EV parts suppliers. Follow this link for a current list.